Now that you've experienced the hustle and bustle of Tokyo, lets calm things down and catch a breath for a bit. Caught it? Ok! be prepared to see the most you'll ever see, walk the farthest you'll ever walk, and sleep the deepest you will ever sleep after it is all done! 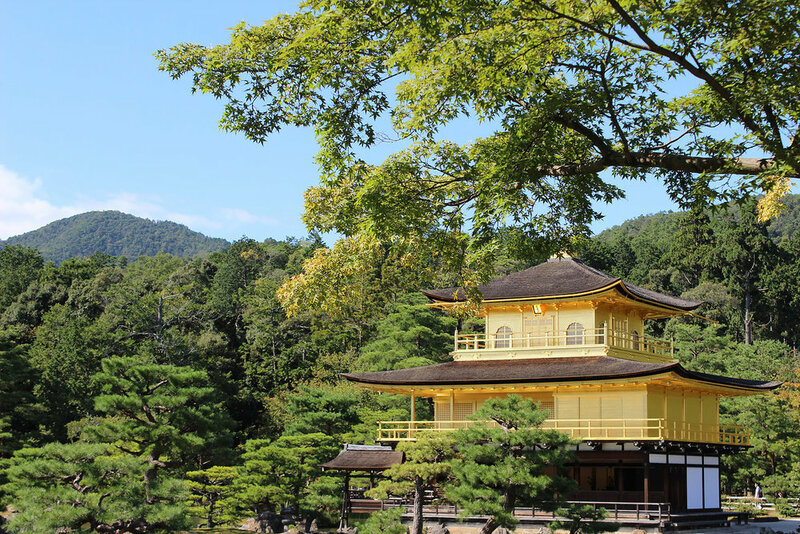 with shrines, temples, and the most beautiful zen gardens you'll ever step foot into. I'm talking Kyoto. We were able to hit 7 major shrines in the 48 hours we were in Kyoto and if you're up to the challenge, I'll show you how it is possible. It is a lot, I repeat, A LOT of walking and with time running against us we decided to hit the city hard and see as much as we could! We can sleep when we are dead. Ready?? Lets go! When you arrive in Kyoto, you'll enter into a world known train station. This has got to be the nicest, most advanced, and biggest train station I have ever been in! 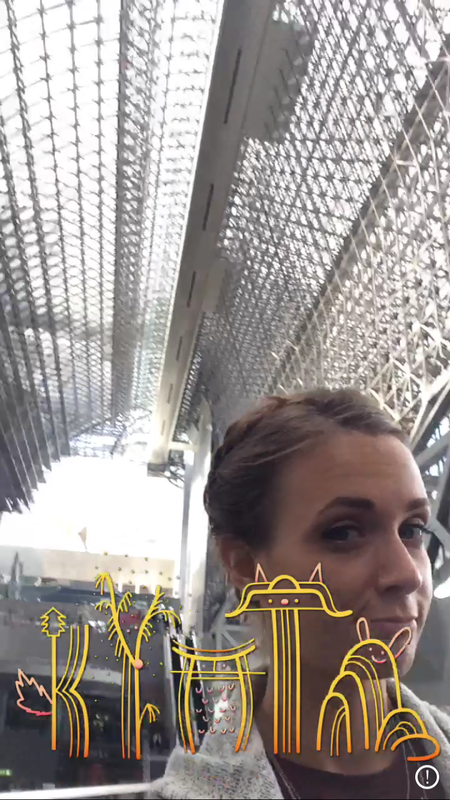 There are restaurants, shopping, and live performances with the Kyoto Tower right outside the train station doors. Get familiar with this place-- you'll be visiting often to get to the different shrines. The grounds are HUGE, and shoes aren't allowed so make sure you wear cute socks than we did! It has a really cool history and some of the imperial family still lives on the property so definitely check this castle out and take the tour! Located in the heart of the Gion District which is also where you will see lots of roaming geishas is this breathtaking orange and green shrine. We arrived at dusk and continued staying on the grounds through the evening which in turn made for an empty shrine. I would definitely recommend going at this time to change things up. 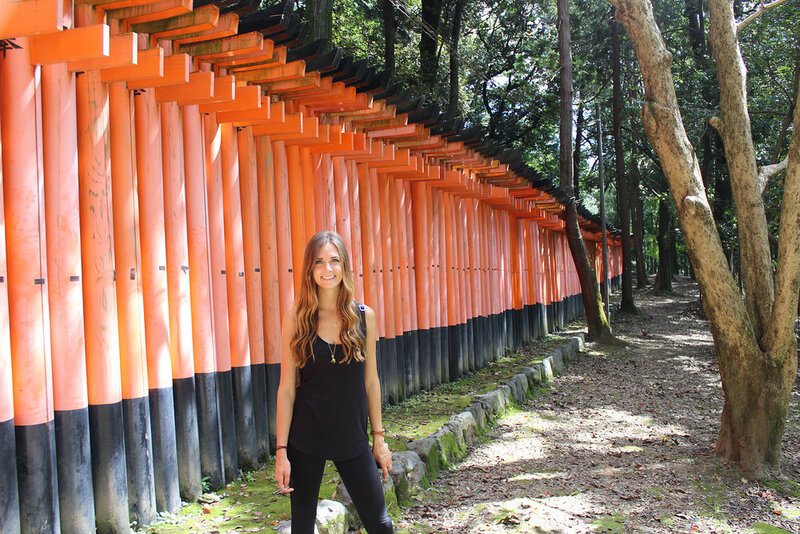 Word to the wise, don't go to the Arashiyama Bamboo Grove here at dusk/ night like we did. You will have traveled quite some ways and end up disappointed. it was nothing like the pictures we had seen floating around on the internet however I truly believe that was only because it was dark and it isn't very lit up. 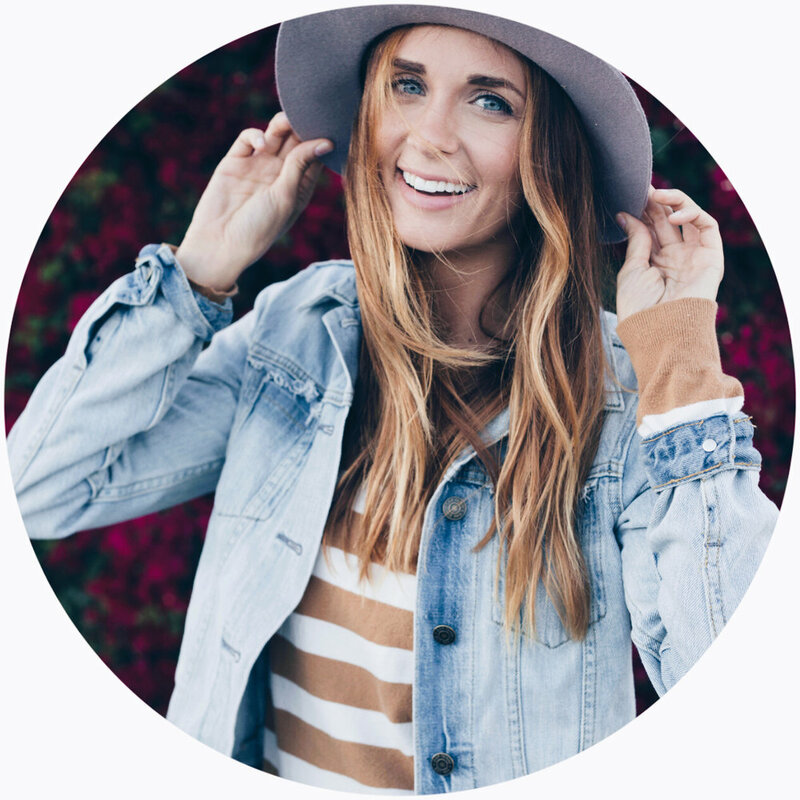 So give yourself more time to walk through it in the light because I know it is beautiful! 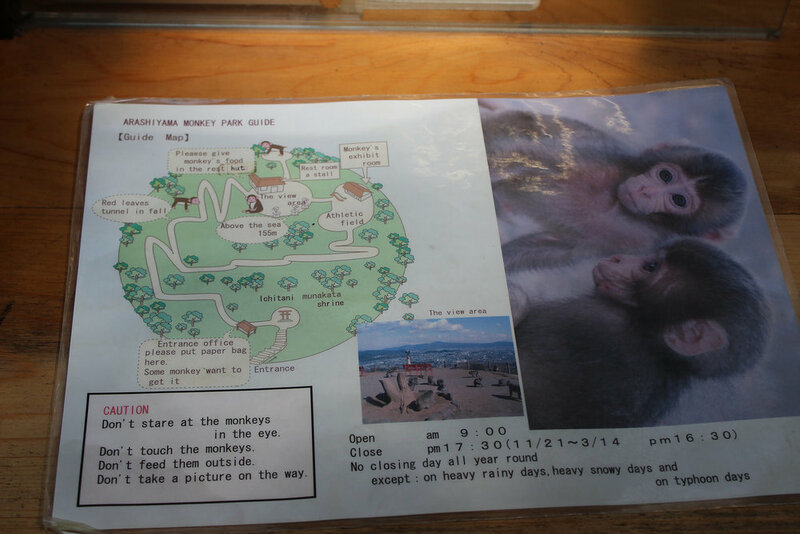 Definitely give yourself the whole morning and afternoon to visit the monkey park. And you will be hiking up the mountain (more like a steep walk) to get to them so make sure to bring water and walking shoes. 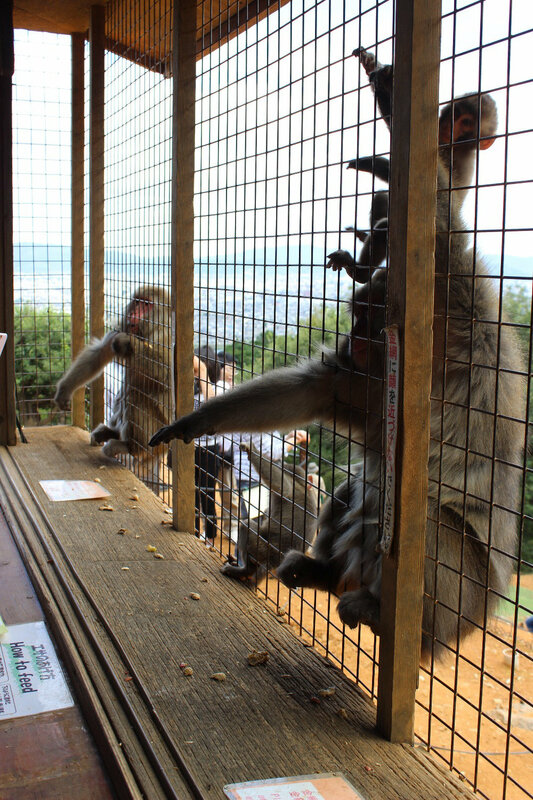 Once you reach the top you will be treated with a breathtaking view of Kyoto and the cutest red-faced furry friends. 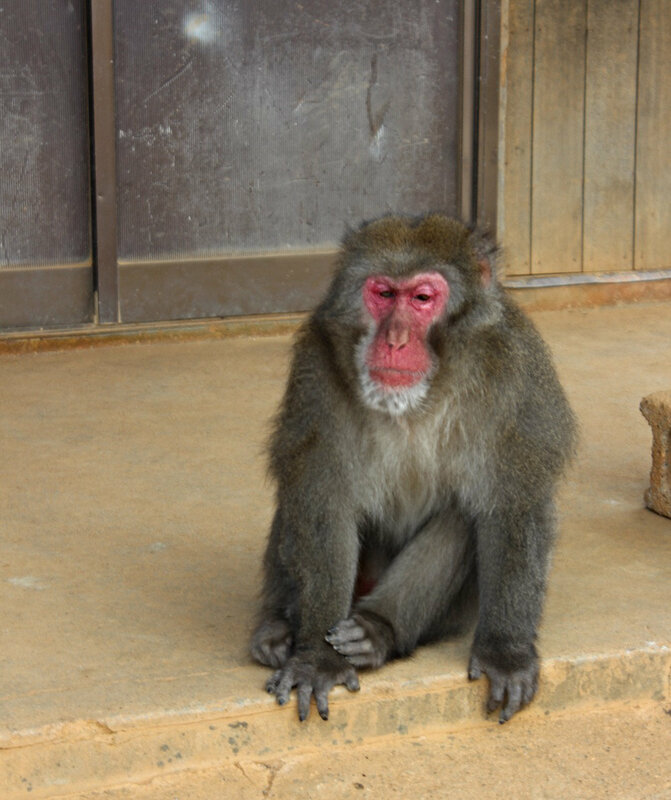 For a few yen you can buy peanuts and bananas and feed them. We spent a good portion of our day here and it was a great break in our shrine and castle touring. Definitely don't miss the golden temple. make sure to give yourself plenty of time because just like any temple or castle the grounds are huge and it takes a while to get through. Probably the most iconic shrine when you think of Japan is the Inari Shrine. With close to 10,000 torii gates all having been donated by local businesses to bring good fortune. It takes about 2-3 hours to walk the entire thing, but if you're crunched for time (which if you're doing Kyoto in 24 hours you probably are) don't worry. You can walk as far into the shrine as you please and then turn around and go back. If you can only go to one shrine. THIS IS THE ONE! And of course, we made sure to save the best for last!